You have to see ThinkLP Loss Prevention Analytics to believe it. The most beautiful dashboards, stunning animated visualizations, instantly-responsive drilldowns, countless graphing options, with the ability to create your own dashboards and data views across all your datasets. You’re going to love it. Monitor your transactions for specific patterns and create alerts for your users on a schedule you determine. Leverage built-in patterns or build your own, and instantly preview your alert pattern results to ensure you get what you expected. Prescribe corrective actions and behaviors directly to stakeholders when patterns are identified and alerts are created. Go beyond sending reports and provide specific instructions and best practices on how to properly complete processes and correct behavior. Some exception reporting (EBR) and data analytics software providers define preset thresholds that arbitrarily allow fraudulent transactions to go undetected. Leverage ThinkLP’s Machine Learning capabilities to identify patterns of behavior that would otherwise go undetected. Alerts are risk-ranked and prioritized so your team can concentrate on the highest value opportunities. The question of “When my LPM pulls out of the driveway, does she turn left or right” has finally been answered, and is even displayed in your ThinkLP mobile app. Analyzing your Big Data datasets by yourself is fun, but it’s a party when you’re collaborating with your co-workers. 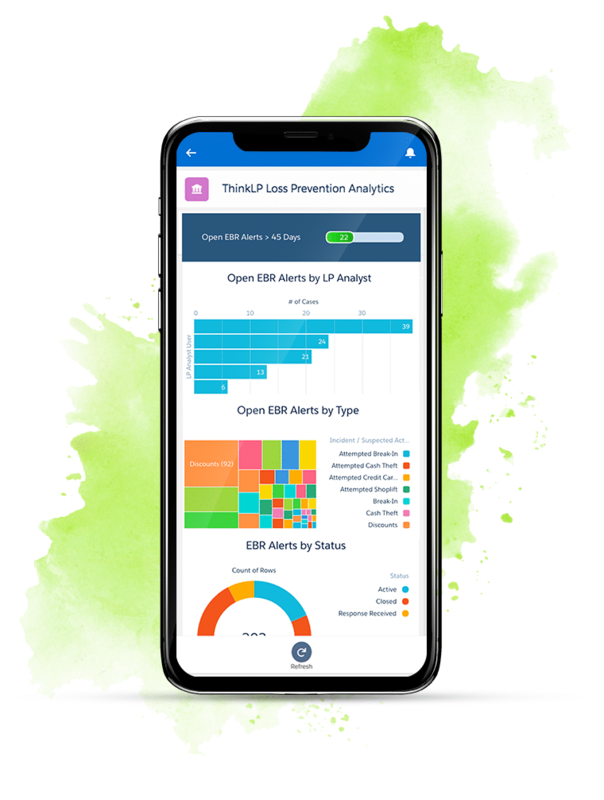 Instantly annotate your Analytics dashboards, make comments, offer recommendations, and take action — all in your single ThinkLP loss prevention analytics platform. Standing in a store and need to ask your data a question? 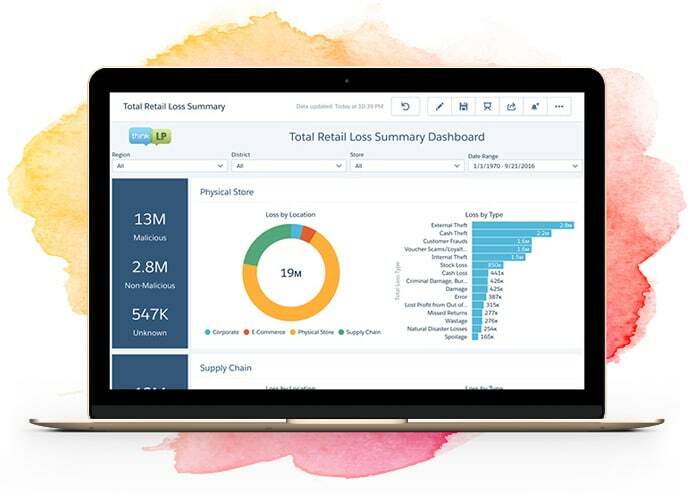 Grab your ThinkLP Loss Prevention Analytics app and instantly drill into your truly Big Data to ask any question like “which employee in this store has the most non-scanned cash refunds?” — and see the results instantly displayed with graphical summaries and row-level detail. #Amazing. See an alert you want to investigate? Find a pattern of transactions using the animated data visualization tools that you think is suspicious? Easily click “New Investigation” and you immediately start leveraging the awesome and fully-integrated ThinkLP Case Management software. Need to plot your analysis on a map? Easy. You can do that with a click and a drag. Any data, any country, any state. It’s simply stunning. Use the Transaction Finder to search and view receipts. 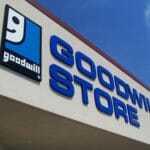 Want to find No Receipt Returns greater than $50? No Problem! Filter and narrow your search. Easily flip through the receipts or create an investigation from receipts. Hundreds of millions of transactions analyzed in a second, literally. Instantly visualize your data any way you wish with beautiful animations. Most people talk about big data, but ThinkLP is Real Big Data at a truly Small Price. ThinkLP allows you to keep all your information in one place: Locations, Employees, Incidents, Accidents, Shrink Results, Sales, Audit Compliance, Turnover, Physical Security, Learning Results, Exception Reportings, Transaction Logs, and so much more. The more information you consolidate in ThinkLP, the more value you’ll derive and fun you’ll have. Leveraging true machine learning algorithms, ThinkLP automatically builds models specific to your business and keeps your models up to date with new data to ensure continually improving predictive model accuracy. You can be operational with ThinkLP in days, not weeks or months. With countless dashboards, data views, patterns and alert rules already built you can leverage functionality out-of-the-box, or easily create and configure everything to match your exact processes and visualization needs. With one click from anywhere in the application you can view an alert, case, audit and everything-else history for an employee. See their transaction analysis and row-level transaction details all on one screen. It’s never been more easy. ThinkLP loss prevention analytics is incredibly affordable. We’re constantly listening and delivering awesome new features with a rapid rate of innovation. 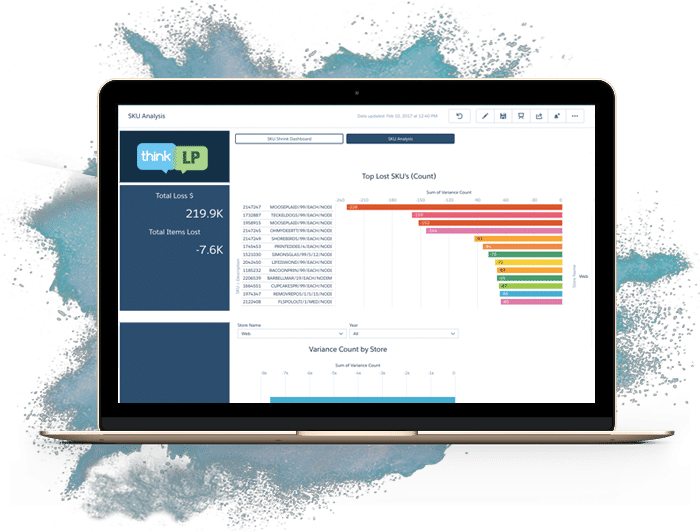 We’ve created a revolution in the Loss Prevention software market and we hope you’ll join us — ThinkLP is by far the most comprehensive and flexible Loss Prevention platform at an incredibly affordable price. Patterns are consistently updated using Machine Learning and advanced mathematics to always zero in on the largest (or smallest) issues, reducing the number and increasing the value of the alerts you generate. 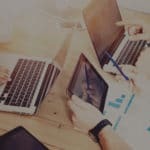 ThinkLP is entirely cloud-based, and beyond sending us data, can be entirely managed without IT involvement if necessary. If you do have IT resource availability, there is no limit to the number of cool things you can accomplish with the most amazing Loss Prevention software platform. 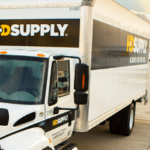 RUN YOUR ENTIRE DEPARTMENT ON THINKLP!